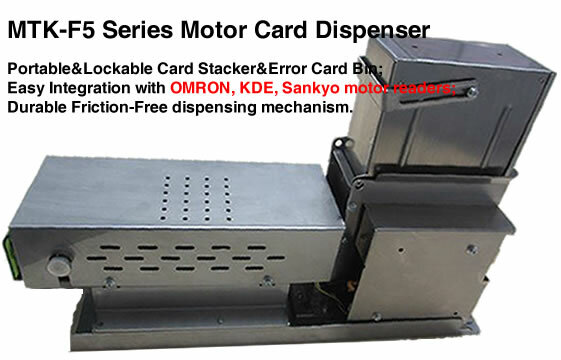 MTK-F5 series Card Dispenser is the safeguarded hybrid motor dispenser with lockable&portable card stacker and error card bin. 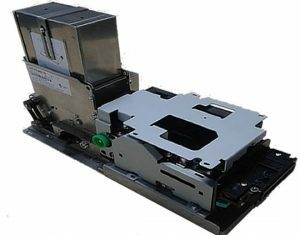 The highly modular dispensing module works with an independent motor card reader module which functions reading magnetic stripe and reading/writing smart cards. Also, MTK-F5 provides seamlessly support to lists of popular motor driven readers from OMRON, SANKYO and KDE to achieve reading/writing functions of both magnetic and IC cards. MTK-F5 targets majorly on applications in finance, banking and other areas with high demand on safety and accuracy in dispensing. It can be applied in ATMs, vending machines and various kiosks. 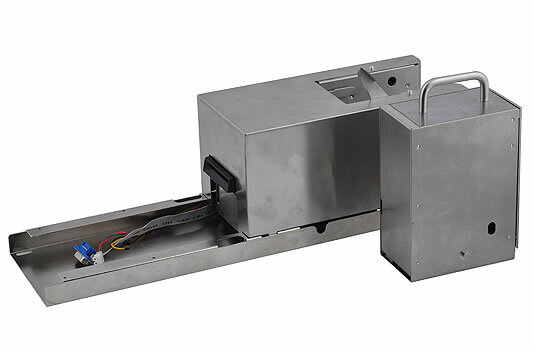 MTK-F5 motor card dispensers can also be supplied with or without motor driven card reader modules.